On November 6th the company closed an agreement for the sale of the Agro Business of Sapec to the investment fund Bridgepoint, which evaluated the deal at 456 million euros. 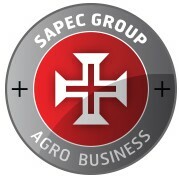 The Agro Business of Sapec is 100% held by Sapec Portugal SGPS S.A. and comprises the companies Sapec Agro S.A. and Trade Corporation International S.A.
Bridgepoint’s investment portfolio includes leading companies in their market segments for which has promoted growth and long‐term success. This organization invests in companies with sound management, with which they work in close collaboration. All management teams and decision‐making centers of the Sapec Agro Business will maintain their roles and responsibilities. Eric van Innis, CEO of Sapec Agro Business, who will continue to lead the business in the new shareholder structure, speaks on the subject: “I consider this deal, both as a recognition of a job well done by a whole team of people and professionals, and as very strong proof of confidence that the new shareholder has in this same team, to which we will have to correspond and show respect. The new shareholder shares our ambitions, and the goal is to accelerate the growth of our business by creating opportunities in new markets and launching new developments and new agricultural solutions for our customers. These are very exciting times for Sapec Agro Business and its customers within a very attractive and growing market”. Commenting on the transaction, Héctor Pérez, Bridgepoint partner, stressed that the performance of Sapec Agro Business “has been robust” and he believes that the company “is now in a position to accelerate growth and gain scale”. “We believe that there is an opportunity to enhance the company’scapabilities, with the aim to increase its growth and gain new territories by launching new customized products”, this Bridgepoint partner stresses out. Sapec Agro Business is the Iberian leader of differentiated generic products in crop protection and one of the biggest companies in the world in the specialized plant nutrition. With headquarters in Portugal, Sapec Agro Business develops, produces and commercializes products for crop protection (herbicides, insecticides and fungicides), as well as plant nutrition specialties (special fertilizers such as micronutrients and biostimulants). Both areas are structurally growing, due to the need to increase the quantity and quality of agricultural productivity to face the world population growth and the corresponding need for healthier lifestyles. Focused on differentiated niches, Sapec Agro Business is now the leader of crop protection in Portugal and occupies the third rank in Spain. As well, it is one of the major global players in crop nutrition with sales in over 70 countries. In 2015 the business had a turnover of 223 million euros. This operation is a consequence of the growth and consolidation process of Sapec Agro Business as a reference player within its market segment, occupying an increasingly “Outsider” position, which is reflected in a differentiated, alternative and future-oriented positioning at the service of the sector, its customers and the farmer in general. The company management and directorship teams will be unchanged, thus validating this path of success and ensuring the continuity of the strategy, based on about 1,000 employees committed to a project, to whom this operation presents a unique opportunity of growth and consolidation.